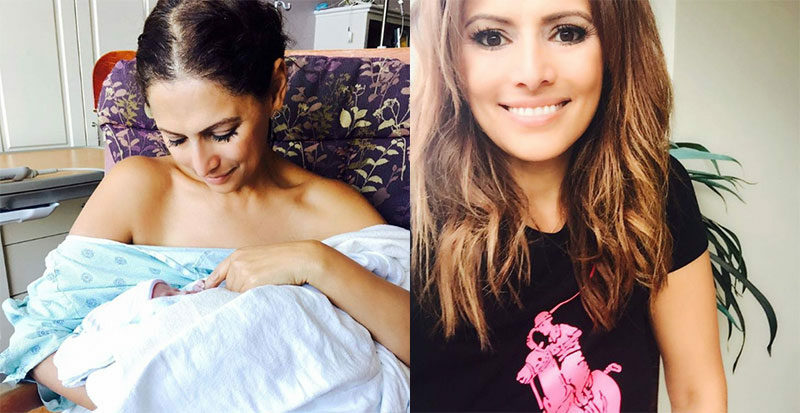 The Daily Edition host and Super Green Smoothies author has taken to Instagram to reveal the birth of her second child with husband Marcus. Hooray! Tiny Elyssa Rose Obermeder appears to have made her (ultra-cute) appearance earlier today, making 5-year-old Annabelle a big sister at last – just in time for Christmas. Sally’s had a really rough trot and it’s been a complex journey to the arrival of baby number two. In 2011, when she was 41 weeks pregnant with Annabelle, she was diagnosed with breast cancer. Ten day’s after Annabelle’s birth, she began intensive chemotherapy. This was followed by two mastectomies and reconstructive surgery, with Sally finally being cleared of the disease in 2013. We told you it was rough. Undeterred, the couple were keen to take life by the teeth and add to their family, but Sally’s previous pregnancy and health challenges have obviously complicated things. Where there’s a will there’s a way, and Sally – who is obviously a fighter – wasn’t going to give up that easily. And then suddenly, magically… their baby! At last! Surprise! This photo is enough to make a grown person cry. The family are obviously delighted with this brand new bundle of joy after waiting so long for her arrival. And Sally looks like she’s exactly where she wanted to be. Nawwww! We can’t wait to hear more about the new, improved Obermeder gang and hope Sally and Marcus’s new baby sparks some bigger conversations about the need for accessible surrogacy opportunities for Australian parents. Congratulations to Sally, Marcus and Annabelle!